Situated on the eastern edge of the Tsitsikamma National Park in the Eastern Cape Province of South Africa, 160 kilometers west of Port Elizabeth on an estate spanning over three kilometers of spectacular oceanfront, this four-star rated six suite luxury lodge presents the ultimate in natural beauty, peace and tranquility, affording 80 kilometer views of the coast all the way to Cape St. Francis in the east and 80 kilometer to Plettenberg Bay in the west. To the south the views are limitless. All suites have gorgeous ocean views. Four suites on the first floor have ocean views and private balconies, the Master Suite on the main level has a private access to the Grande Verandah and the Ocean Suite private sea side access in addition to entrance through the lodge. The lodge is remote, at the end of a seven kilometer dirt road 30 kilometers from the nearest town. Scrumptious buffet dinners and breakfasts are included in the rate for lodge guests. 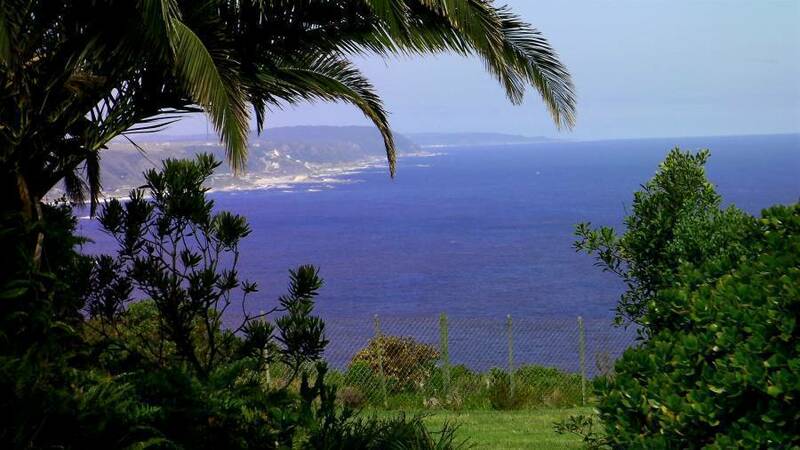 Though not rated, the estate offers two- and three-bedroom self-catering cottages that sleep four and six, with ocean, mountain or forest views. Cottage guests may dine at the lodge for an extra charge. 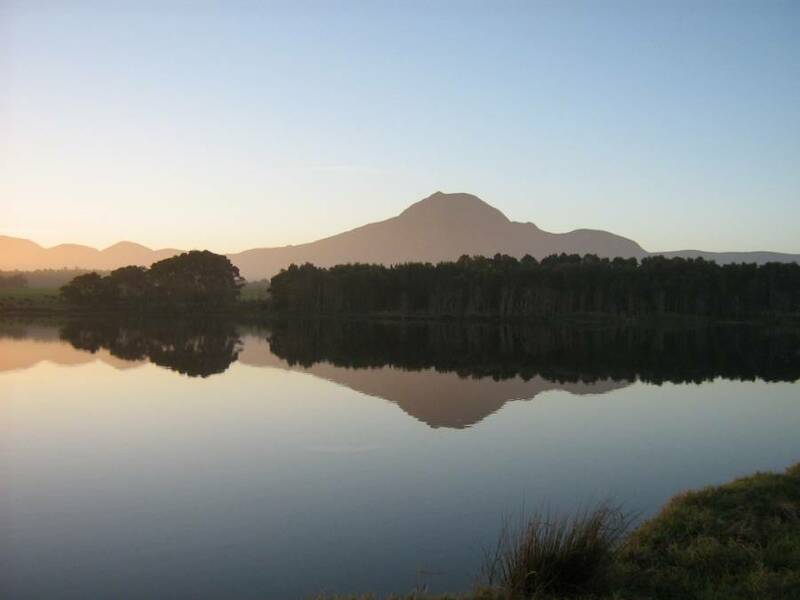 Besides the four-star rated six-suite luxury lodge, the estate also offers non-rated self-catering cottages. 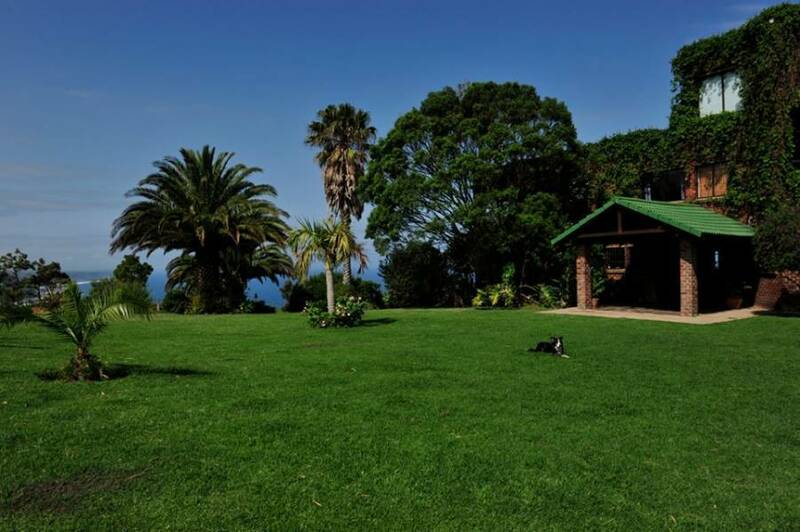 The estate spans over 3kms of magnificent oceanfront with spectacular nature hikes. The Grande Suite is over 90 square meters with an extra king-size bed, a shower, a whirlpool tub for four en suite and its own private balcony with views of the east coast and ocean to the south. The Master Suite is 54 square meters with an extra king-size bed, a shower, an over-sized tub and private access to the Grande Verandah, with views of the east coast and ocean to the south. The Ocean Suite has in addition to access through the lodge, its own private ocean-side entrance, with an extra king-size bed and over-sized tub en suite with ocean view. The suite can accommodate a double bunk for two additional guests at extra charge, who have access to a separate bathroom with shower and toilet. The East Suite is over 70 square meters with it own private lobby that may serve to accommodate a double bunk for two addtional guests at an extra charge or serve as a private lounge, with a queen-size bed, an over-sized tub en suite with ocean view and a private balcony affording views of the east coast and the ocean to the south. The South Suite is 48 square meters with a queen-size bed, an enclosed bathroom en suite with an over-sized tub, and a private balcony with ocean view to the east and south. The West Suite is 48 square meters with an extra king-size bed, an enclosed bathroom en suite with an over-sized tub, and a private balcony with ocean view to the east and south and west. Cottage 1 sleeps 4 in a room with a queen-size and another with a double bed. It has a kitchen and lounge and an over-sized tub and ocean views. Cottage 3 sleeps 6 in a room with a double bed, another with two single beds and another with a double bunk. It has a kitchen and lounge and an over-sized tub and ocean views. Cottage 4 sleeps 4 in a room with a double bed and another with a double bunk. It has a kitchen and lounge and a regular long bath-tub. It faces the forestn over-sized tub and ocean views. Cottage 5 sleeps 6 in two rooms with double beds and another with a double bunk. It has a kitchen and lounge and an over-sized tub and forest views. 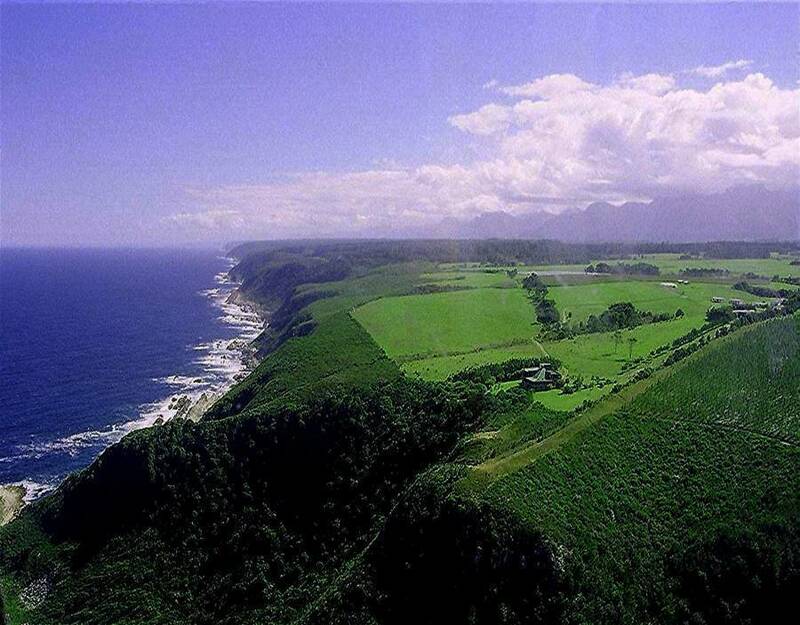 Sub-tropical lush and green Tsitsikamma is on the Garden Route, comprising a narrow strip of land between a majestic mountain range and the Indian Ocean. Numerous adventure sports within easy driving distance. Terms and Conditions: All rates assume double occupancy. The single rate discount is 15%. Due to the intimate nature of the lodge and for the tranquillity and quiet enjoyment of all our guests, we regretfully discourage noisy infants and pets. Well behaved pets are welcome, at a surcharge of R300 per pet. Pets may be kept on balconies. A sanitation fee of R500 will be due for any in-room pet spills. Up to two children can be accommodated, in the Garden Suite only. A fee of R300 per child under 10 years of age applies. The Lodge is in a secluded and remote region, with no in-room TV’s and telephones. Internet wi-fi connection is available at extra charge. An a la carte menu of premium dishes such as crayfish, prawns and fillet steaks at additional charge is available with 7 day advanced notice. Reservations and payment: A deposit of 50% of the total stay by EFT to our bank is required to confirm the reservation. Balance to be paid upon or before arrival. Cancellations: A refund of 50% of the deposit shall apply if the reservation is cancelled at least 30 days prior to your anticipated arrival date. In the event of a “no show”, 100% of the fee will be charged. No verbal cancellations will be accepted. All cancellations are to be faxed or e-mailed and a cancellation confirmation number obtained. 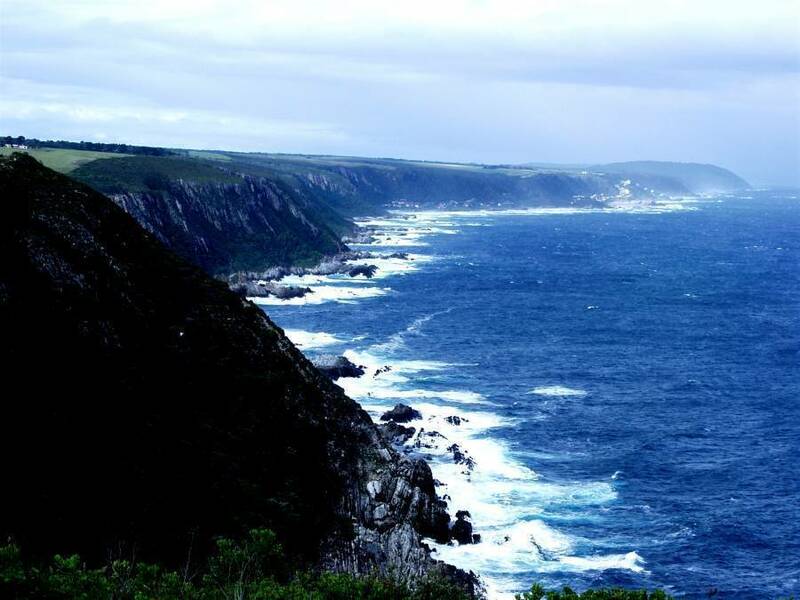 Take the N2 west past Humansdorp for about 150 kms to the Eersterivier exit - Exit 611- and turn left towards the sea. At the T-junction, turn right onto R102 for about 10 kms. Just past the yellow New Holland neon sign on your left and the tiny Witelsbos Post Office on your right, turn left onto the gravel Robbehoek Road. Go east on the N2 until about 12 kms past the Stormsriver Bridge and turn right at the Koomansbos/Witelsbos sign. Turn left at the T-junction onto the R102 and continue for about 6. 5 kms. Turn right on the gravel Robbehoek road and follow the directions above. 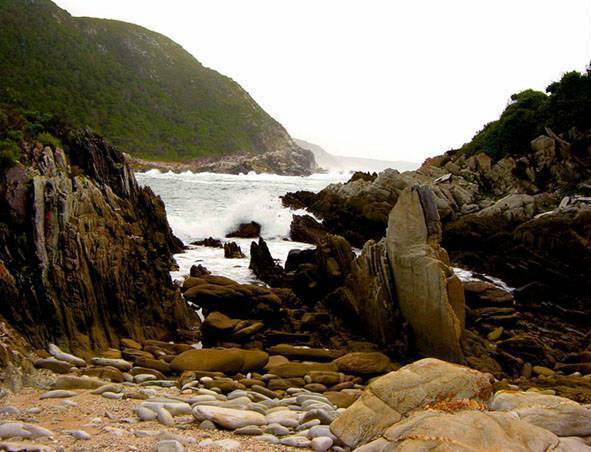 Once on the Robbehoek Road: After 5 kilometres, after the road makes a sharp left, turn right and keep heading straight for the ocean and follow the signs to Tsitsikamma on Sea. At the front entrance, locked for security, call one of the numbers listed. There is no public transportation to the estate.